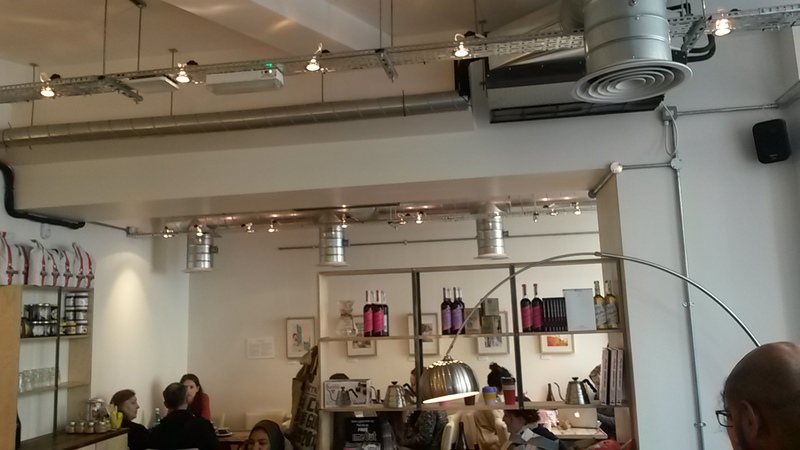 ‘Coffices’, or cafes that double as offices, are becoming big business in London. As a lot of people’s work, especially cafe-goers, migrates online the traditional office set up becomes more and more obsolete. And while working from home is an option, people who miss the social interaction of the office have been doing their work or holding their meetings in cafes. 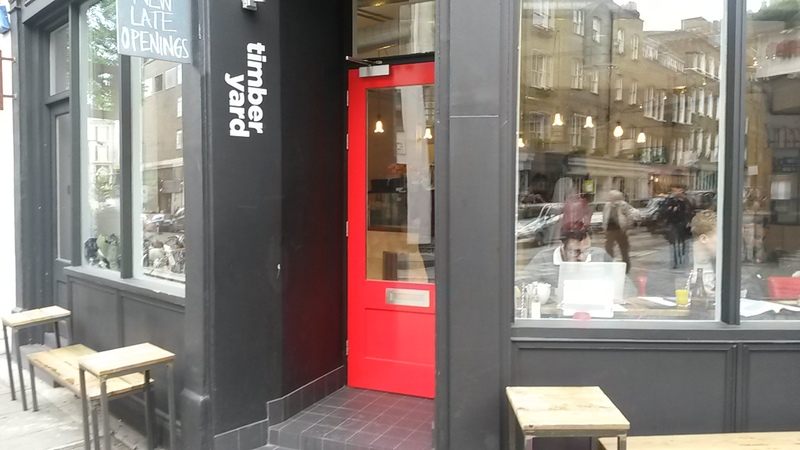 Timberyard in Covent Garden is one such place. 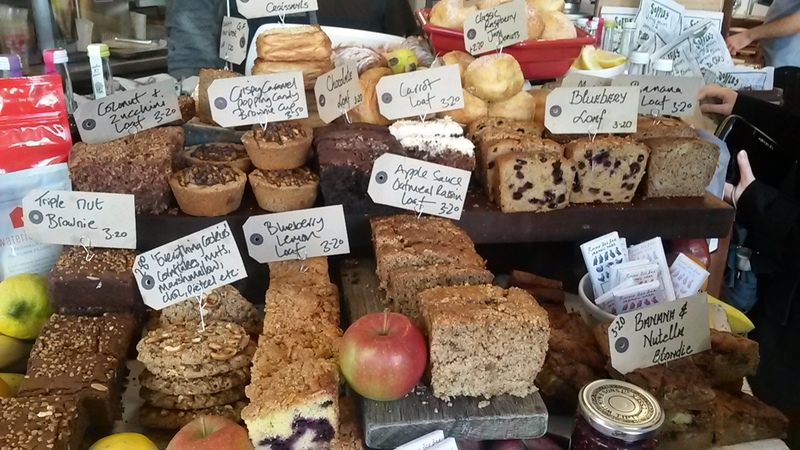 In fact, it was named best cafe for out of office workers at the Coffee Stop London Awards. While the big chains have welcomed the laptop drinker for some time, it’s good to see the independents embracing this new crowd, even if their pound per minute rate is not the best. The Has Bean coffee served here is excellently put together by the well-trained baristas. Strong and slightly bitter with a nutty flavour, this is an excellent cappuccino. And, to add a bit of theatre, it is served on a big wooden platter with sugar, a bottle of water and glass. A nice touch though seemingly going against its ‘coffice’ status as who has room for both a laptop and a wood board? Busy and bustling. Although it is a large and bright room, trying to get a seat was a bit of a nightmare, especially as you need a seat before ordering. However, despite the number of workers and the odd tourist, the mood was upbeat – people were getting stuff done and it felt good to be among them. It was like being in the best office in London. While it has a pretty limited selection of hot food, it does serve soup and sandwiches along with some breakfast selections and baked goods. 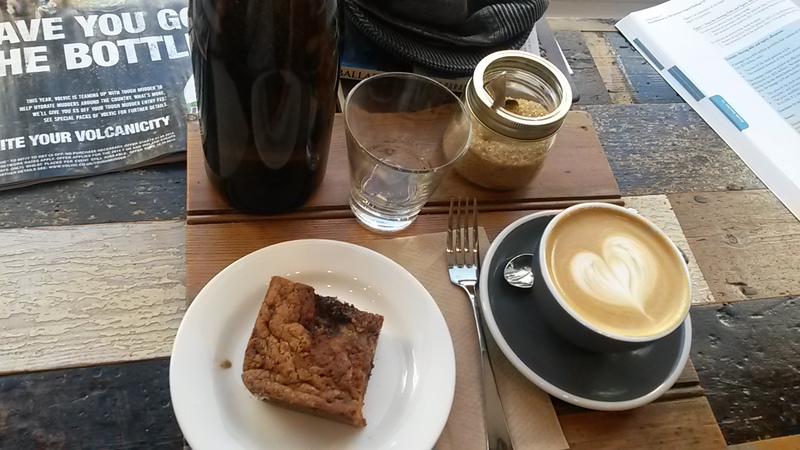 I went for a Banana and Nutella Blondie, which was really very good and not as sweet as it sounds. There wasn’t anything wrong with the people serving, more the system. As mentioned above, you need to get a table then go up and place your order. For the many people there working alone with their expensive laptops, you have to either risk losing your seat by taking this with you when you order or risk leaving something behind as a marker. A flawed system. The wood board with water is a really nice touch and there are areas that are really well set up for laptop usage with Wifi and plugs. On top of that, not much else. Beats the office hands down every time and serves a great cup of coffee – but it all depends on whether you can get a table. I went here a couple of weeks ago thinking to review it … but in the end wasn’t that happy and gave up on visit. I agree with all you’ve said. My coffee was good but the set-up is a bit weird. I had to wait ages for water and went back to till to ask for it … nice system to bring big bottle but not when you have to wait ages and it’s hot outside 🙂 I ordered a slice of quiche (it was lunchtime) that was very very slow to come and not good. It looked pretty awful, falling apart, and had soggy pastry. I’d planned to have a cake after … they looked good … but couldn’t be bothered with going through the system again and the quiche had put me off. Shame … but as you say, good coffee. And thanks for following my blog! Thanks for the comment. I’m not sure why cafes that will bring your food to your table don’t take your orders from the table? As a lone drinker, I don’t like leaving my stuff on my seat and then getting up to go order.